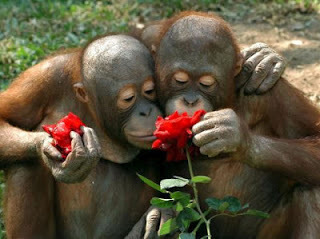 Smelling Roses! | Dorked Out! I smelled the rose and it was amazing. Then all of a sudden a bee popped out and I tried to throw the rose away but in doing so I got poked by a thorn. Then the bee tracked me down and I got stung, not only that, but the rose I just threw, yeah it landed on a bee nest and now they’re all after me. Because of this I am now unable to smell such an enjoyable thing and just have memories that I will miss that immediately turned bad. Its like bringing candy to a foreign country that doesn’t have candy. You introduce these kids to something amazing only for them to never ever taste it again? That’s like falling in love with someone then never ever see them again. You know what is a symbol of love? Roses. Jerks.